The sixth installment of the Phantasia Series. With the elements withdrawn from Gaia, the world and its people have now begun to find new ways to make their world prosper. A world where the elements themselves will have no effect on the public everyday lives, and the age of technology has begun to rise, making the idea of the elements a thing of the past. Because of this grand change, the Goddess and her servant decide to become reborn and see the results of this grand change. While they would become reborn, they made one single promise, that they would meet again, no matter how long it would take. You are Zack, a man who attends a local academy in hoping to become a professor in world history. However, Zack meets a mysterious girl, who speaks the words: "We meet again." However, the words ring hollow as Zack never met this girl before in his life, but little does he realize that those three words would spark the beginning of a journey that would result in Zack changing the world, for better or for worse. -Changing formations, which can lead to earning bonuses during combat. 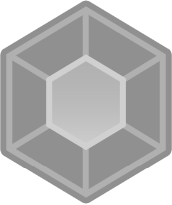 -Element Fusion, fusing with your allies to become stronger. -Animated Battlers, both enemy and allies. More features to come as the game is still in progress. Special thanks to Theo himself with helping me with tweaks to the battle system. It has been some time since I have posted here, based on the screenshot I just pumped out, the game is still progressing. While it has been slow because mostly due to work, but the other part is because of just where the game is at said point in time. I have to juggle between doing plot based advancement, and dungeon making, along with spriting new enemies on occasion. What also doesn't help is that during this entire stage, there are a lot of optional dungeons to complete... well, sorta. The Elemental Temples, while they are available to get to, they do not have to be completed until you reach a certain point, once that point is reached, you can't progress any further until the four basic elemental temples have been finished. While in past Phantasia games, you'd have to do all four of them at once and then you progress, I made it so you could go at them, while also progressing the story at the same time, so it doesn't feel like you have to do them all at the same time. It helped me immensely because I didn't have to rush myself to do every single temple, and I could take my time getting the designs for each temple made. But, in terms of progression wise, once the Earth Temple is finished, it's going to finally get some major development shtuff, it'll be at a point I've been REALLY wanting to start on. It is pretty much a huuuge conclusion to a lot of the plot, but will also bring up new challenges, and also show plot twists galore, y'know, typical jrpg shtuff. But after all is said and done, the game still won't be finished, BUT, all is not lost, progression wise in terms of plot will hit at least 65-70%. The goal IS to finish this game by the end of the year. And I feel I can accomplish this, but I will still keep going at a steady pace and not rush myself. That always comes back to bite me in the arse. Well, that's all in terms of progression. 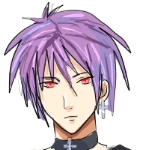 Here's a picture of one of the enemies of Phantasia 6, Alexander. OMG WHERE IS THAT HARPY TAKING HIM!? A Kraken boss in my RPG's? Hellz yeah! The tentacles protect the head while the head itself spams water magic. Yeeeaahhh!! nice to see this series will be getting another installment, i've enjoyed the previous entries in the series. How did you add this without me knowing? It definitely looks like the best one to date. Subbed. I think it may have been due to the game not showing on the feed when I added it, cause I had it hidden for a bit so I could put some screens, among other things into the game. Hi, J-Man. I have to say this game looks interesting. I do plan to play the previous five games, but is it recommended that I play the other five first? Just wondering. It's not completely necessary to play the other games as each one holds out on its own, but the later games will often make references to previous games in order for the player to fully understand the entire series. After they get the orb and she comes out of the restroom it freezes up and I can't move. have to shut down the game cause nothing works. Ooooh, okay. Yeah, gimme a moment to fix that. It was a tiny addition I added that I forgot to test, that was my mistake! Animating is sort of becoming my specialty, ha ha. Well, we had a rough start to the game, but looks like things are starting to run a little more smoothly. I downloaded the demo to play it, but when I do a new game, it just puts me in a random map and I'm invisible. Did you forget to change it from a debugging to the real start of the game? EDIT: There we go, now it starts where it should. i've managed to break the game like all other games i ever play, at the gem desert, you can skip past the warp to go in the desert and walk to the end, being stuck in this bluish looking form of the desert, i cant go back without going to where a cutscene is and when i go there the game freezes, sorry i broke your game! EDIT: forgot to tell how i broke it, i walked to the right corner of the entry to the gem desert and kept going, thinking i was supposed to do this. The problem was addressed just recently, just download the patch and the problem will be resolved. I was reported about the Gem Desert issue by another person and had it fixed, so no worries about you breaking the game. ;) Just a little error I forgot to fix, nothing big. im still stuck across the south end of the desert and if i try to head north i activate the cut scene with the military ship, and game proceeds as normal, is there any important story/characters/items that i may miss by effectively skipping the gem desert? You mostly miss out on one element for Silva, but you do come back to it once you're done with the military stuff, you wind up back in the desert and you can go back and collect the stuff you missed earlier. I"m only about an hour into the game and it is freezing when zack comes out of the house the next night after getting the fire orb. When he comes out looking for emily a guy warns him about officers being out there patrolling the streets tonight. Is there a fix for this? Think you could give me a screenshot when this starts happening? How do i get the picture onto this page?